A Grim Chronicle Of China's Great Famine For 10 years, journalist Yang Jinsheng secretly collected official evidence about the terrible famine in China a half-century ago. 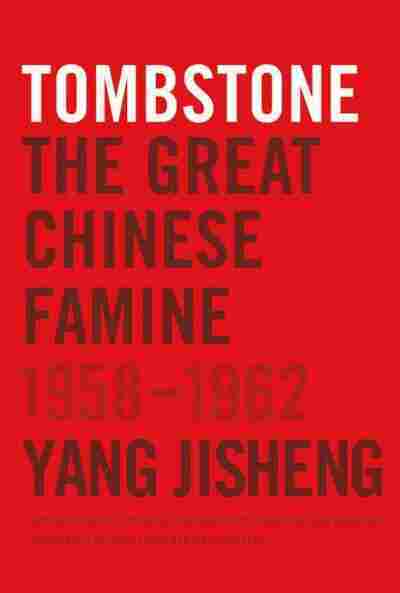 In his chilling book Tombstone — which is banned in his homeland — Yang estimates that 36 million people died of starvation and other causes during the famine, even as grain exports continued. Chinese villagers welcome the arrival of tractors purchased by a farmers' cooperative in April 1958, during the Great Leap Forward campaign. The disastrous modernization program ended in China's great famine and tens of millions of deaths. It's not often that a book comes out that rewrites a country's history. But that's the case with Tombstone, which was written by a retired Chinese reporter who spent 10 years secretly collecting official evidence about the country's devastating great famine. The famine, which began in the late 1950s, resulted in the deaths of millions of Chinese. 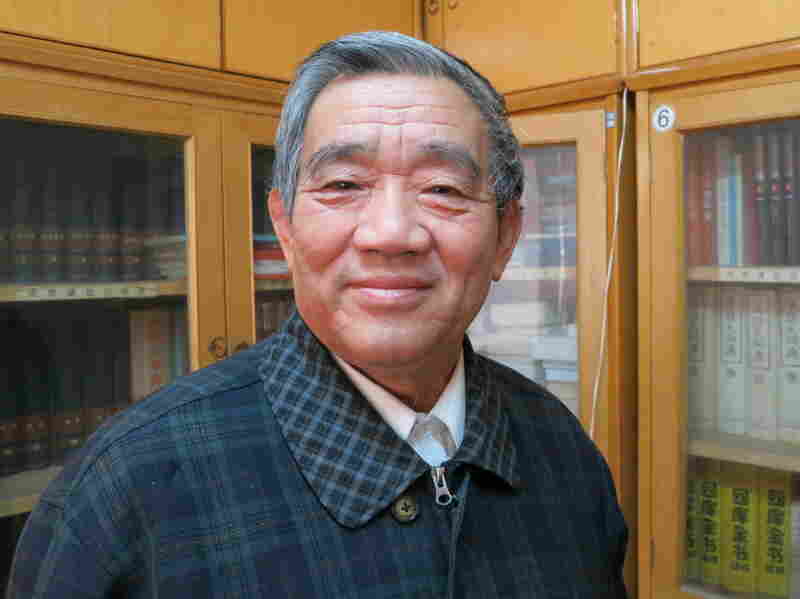 For Yang Jisheng, now 72, the famine hit home while he was away. He was 18, busy preparing a newspaper for his boarding school's Communist Youth League, when a childhood friend burst into the room and said: "Your father is starving to death." Yang Jisheng, 72, spent a decade working undercover, secretly amassing official proof of China's great famine. "When you are writing history, you can't be too emotional. You need to be calm and objective," he says. "But I was angry the whole time. I'm still angry." "I didn't think my father's death was the country's fault. I thought it was my fault. If I hadn't gone to school, but had helped him dig up his crops, he wouldn't have died," Yang remembers. "My vision was very limited. I didn't have the information." It was April 1959, a year after China launched its Great Leap Forward, a political movement forcing the population to drop everything and make steel in backyard furnaces so China could catch up with the U.S. and Britain. The country's entire population ate in collective kitchens, pots and pans were confiscated, and farm work was stopped. Provinces reported record grain hauls — exaggerating their figures and resulting in huge procurement targets, leaving nothing for peasants to eat. Millions starved to death. As an adult, Yang used his credentials as a reporter for the state Xinhua news agency to cajole and beg his way into provincial archives. He started gathering information on the famine in the mid-90s, and began the project in earnest in 1998. He worked undercover for a decade at immense personal risk, pretending to research official grain and rural policies, in order to put together the first detailed account of the great famine from Chinese government sources. From his research, Yang estimates that 36 million died during the famine. Most deaths were caused by starvation, but the figure also includes killing during ideological campaigns. Some Western scholars have put the toll as high as 45 million. Unbearable hunger made people behave in inhuman ways. Even government records reported cases where people ate human flesh from dead bodies. "Documents report several thousand cases where people ate other people," Yang says. "Parents ate their own kids. Kids ate their own parents. And we couldn't have imagined there was still grain in the warehouses. At the worst time, the government was still exporting grain." At the epicenter of the famine, Xinyang in China's central Henan province, the post office confiscated 1,200 letters sent begging for help. The level of energy expended on covering up what was happening is chilling. One passage in the book reads: "When the Guangshan County post office discovered an anonymous letter to Beijing disclosing starvation deaths, the public security bureau began hunting down the writer. One of the post office's counter staff recalled that a pockmarked woman had mailed the letter. The local public security bureau rounded up and interrogated every pockmarked woman without identifying the culprit. 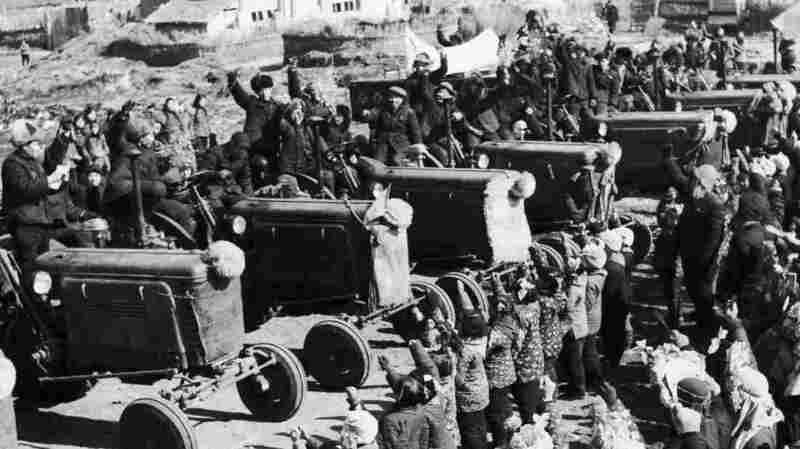 It was subsequently determined that the writer worked in Zhengzhou and had written the letter upon returning to her home village and seeing people starving to death." Those who tried to leave the area were sent to labor camps. Ideological campaigns continued; in one district of Henan alone, 1,000 people were beaten to death for political problems. At first, Yang says, he struggled to put all of this on paper. "At first when I was writing this book, it was difficult. But then I became numb. When you are writing history, you can't be too emotional. You need to be calm and objective," he says. "But I was angry the whole time. I'm still angry." The result is Tombstone, a monumental history of famine, which was released in Chinese four years ago and has recently been published in English. Stacy Mosher, the co-translator of the English version, says it's "an extremely important book." "What Mr. Yang has done is ground-breaking and will live forever as he hoped," she says. Mosher says the book honors both the dead and the unsung heroes. "There were certain officials who within their own local parameters were able to save lives because they were able to ignore the central government's directives. They had the moxie, they had the guts, and they saved lives," Mosher says. "That is the lesson to take home: A system can be diabolical, it can be lethal, but the individual can make a difference." The English version is less than half the length of the original two Chinese volumes. But Mosher says the significance of the Chinese version is that it allows Chinese readers to find out exactly what happened in their own provinces. "For that reason, the Chinese version is absolutely essential for its Chinese audience," she says. The book is banned in China, where histories blame the famine on natural disasters, the withdrawal of Soviet experts and policy mistakes. Yang says the first two reasons are just excuses that don't hold any water. Counterfeit versions of his book are in circulation, as are photocopies and electronic versions. Yang says he doesn't care about copyright. He just wants Chinese to know their own history. "Our history is all fabricated. It's been covered up. If a country can't face its own history, then it has no future," he says. "And if a regime destroys history systematically, that's a terrifying regime." As China prepares to unveil its new leaders, Yang — a lifelong Communist Party member — hopes they'll push for change. He chose the title Tombstone as a memorial to his father and other famine victims. For years, he feared the book might be his own tombstone. Now he hopes it will be a tombstone for a political system that caused mass deaths. "Now China has reached a crossroads, and to find which direction to travel, it needs to view through the prism of history," he says. "A people who have forgotten their history have no direction. My book faces up to the darkness to avoid darkness."